No, this post is not about the rumours of the upcoming new battery pack by Renault. 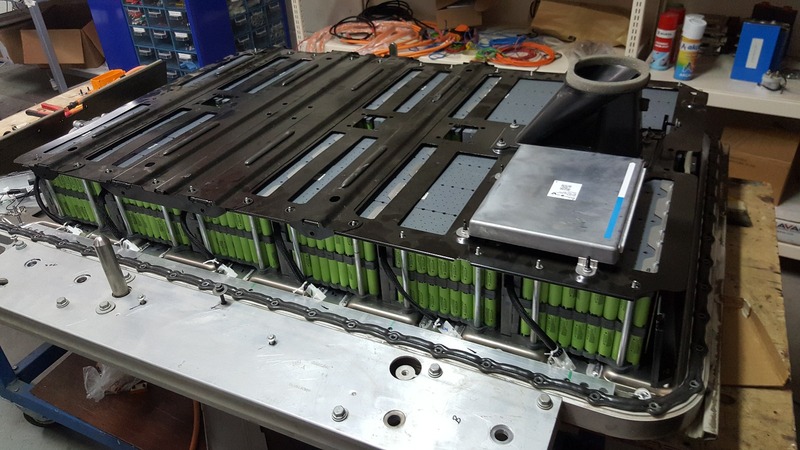 Imecar Elektronik of Turkey, in cooperation with Renault Turkey, have rebuild a ZOE battery pack to a capacity of 43 kWh. I don’t have details, but the picture suggest close to 4000 NCR18650PF cells. That in itself is an interesting design, as using cylindrical cells take a bit more space than the prismatic/pouch cells originally used in the ZOE. The casing, peripherals and LBCs have been re-used from the original battery. The metal box on top contains the LBCs computers, including the balancer circuits. In this picture the control wire to the LBCs seem not to have been installed yet. I have absolutely no idea about net capacity, probable weight increase, etcetera. They are testing the pack as we speak. Stay tuned!